This game has it all: Pretty colors, cute graphics, and a heady mix of puzzle frenzy. 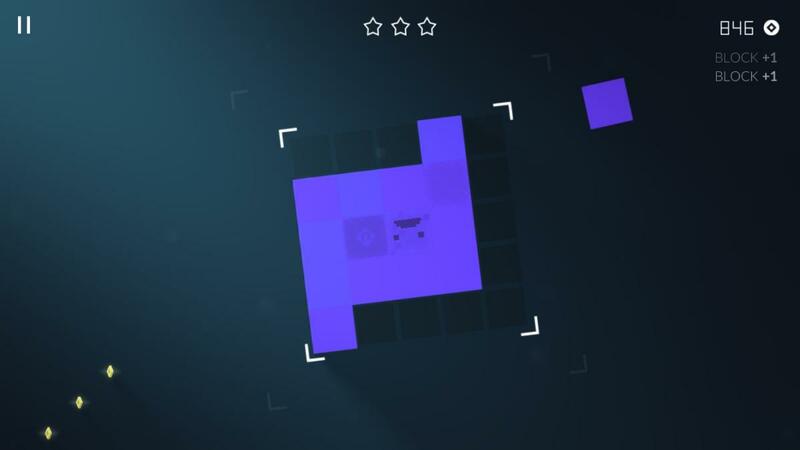 When I first downloaded Evergrow, I thought I knew exactly what the game was going to be: A minimalist puzzle game that hinged on one or two clever mechanics, possibly with a decent soundtrack. This isn't your typical casual puzzle game—not at all. 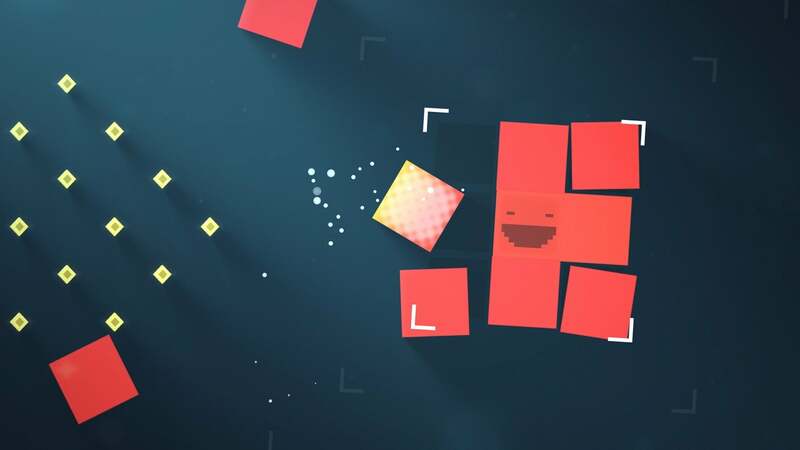 It might start out that way, but it quickly becomes an exciting, action-based puzzler that will have you frantically multitasking as you fling blocks haphazardly around the screen. It's also got a semblance of a storyline, which is kind of neat—it adds some character and drive to each level, and you don't feel like you're just rushing to complete the game for no reason. It looks simple, but it's surprisingly intense. It grows on you: Like many casual iOS games, Evergrow starts you out very slowly—in fact, it starts you out with a quick tutorial where you're introduced to the main "character" (a "Chromaroid"), as well as the initial game mechanics. These initial mechanics are pretty simple—all you're doing is dragging your finger across the screen to propel colorful blocks toward or away from your Chromaroid. Blocks of the same color are good and will attach to your Chromaroid to make it grow larger; blocks of different colors are bad and will hurt your Chromaroid. To add a same-colored block to the Chromaroid, tap and drag it until it touches (it will slide into place). To repel different-colored blocks, tap and flick them away from your little dude. 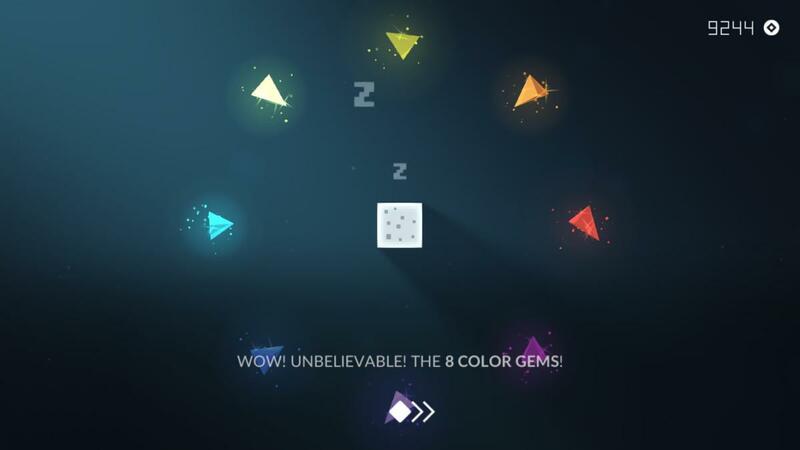 Pick a color gem and drag it to the middle to wake up your Chromaroid. If this seems a bit overly simple, that's because it…is. The game starts out with these very basic game mechanics, and the first few levels are a bit…boring. After the first few levels, things start to get exciting. And yes…you can die. But there's a light at the end of the tunnel, because once you've cleared the first few levels the game picks up pretty quickly by introducing new block types (various special blocks that do things like shield your structure from harm or zap offensive blocks into oblivion) and new enemies (hurtling cannons and explosive mines), not to mention environmental hurdles and increasingly difficult completion goals. Fight through the first few levels—it's worth it! It looks great: Evergrow's graphics are simple—your character is literally a two-dimensional box—but that doesn't mean the developers skimped on artistry. 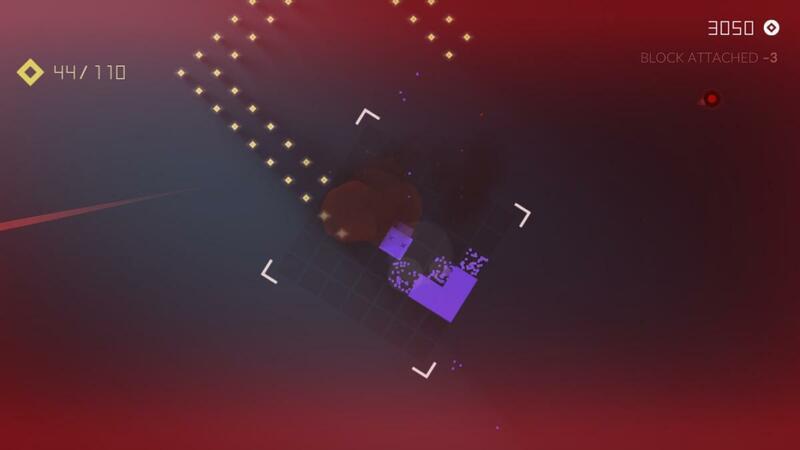 The game features some interesting physics dynamics: The blocks slip into place when they're the same color, but bump and jiggle across the surface of your Chromaroid's block-enclosure when they're different. In addition to dragging loose blocks too and from your structure, you can also drag your Chromaroid around the screen (to do thing like collect coins or simply avoid obstacles), and so your Chromaroid also moves with the physics of the game. What's impressive here is how smooth everything looks, even as just about every object on the screen is tumbling about. The Chromaroid may have a retro-cutesy look to it, with its expressive 16-bit face, but there's nothing retro about the game's overall graphics. 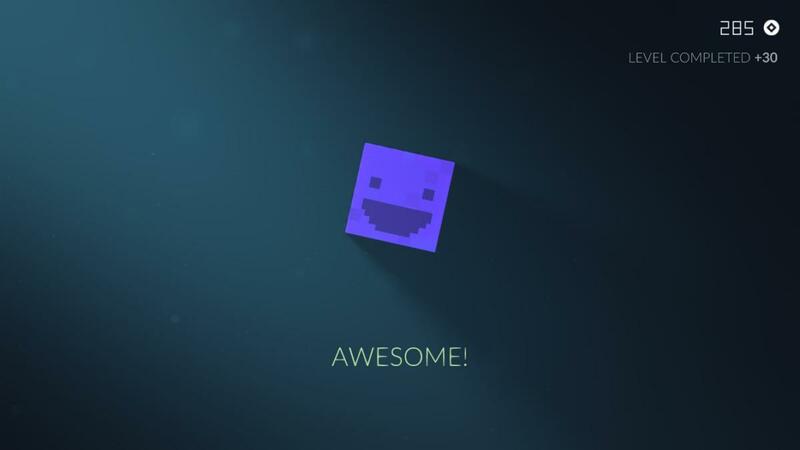 There's plenty to do: The game's basic goal is pretty simple: Drag and attach colored blocks to your Chromaroid to help it grow. Each level offers guidelines for how big your Chromaroid needs to grow, and you'll want to attach blocks in a somewhat orderly fashion or you'll end up with big holes in your structure. But building a giant, solid block of color isn't the only thing to think about in this game. You always want to grow, but that's not the only thing you want to do! 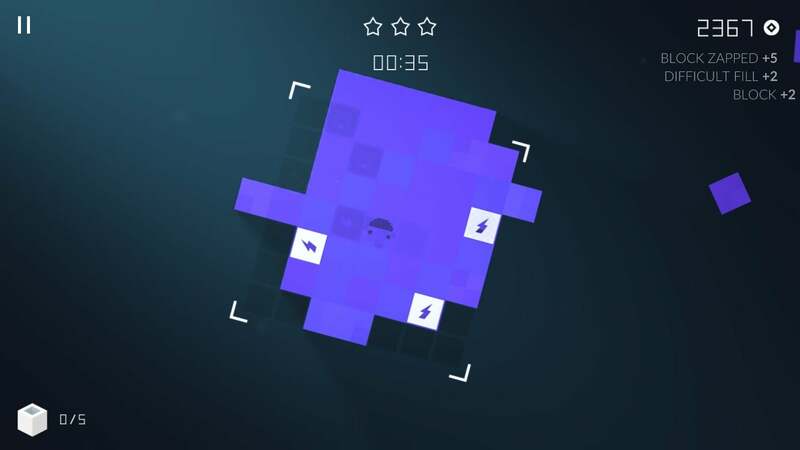 Each level also has a star rating—but unlike most of the star ratings you've seen, these stars aren't earned by completing the level "perfectly." At the beginning of the level, you'll see the criteria needed to earn each star—sometimes it's pretty typical (such as "become bigger") and sometimes it's not (such as "fill a difficult gap" or "make it spin more than 360 degrees"). You won't be able to earn a three-star rating on every level without carefully going over these criteria, and that definitely keeps things interesting. On top of the star rating there's also an in-game currency—diamond-shaped coins that you can collect by dragging your Chromaroid around the board. Collecting these coins is surprisingly tricky, since the board also features blocks flying at you from every angle and exploding obstacles (like mines), plus…your Chromaroid isn't exactly a Mercedes when it comes to handling. These coins can then be exchanged in the game's workshop for upgrades to special blocks, new blocks to put in your "bucket" (a storage space where you can save special blocks for when you need them), and upgrades to your character.